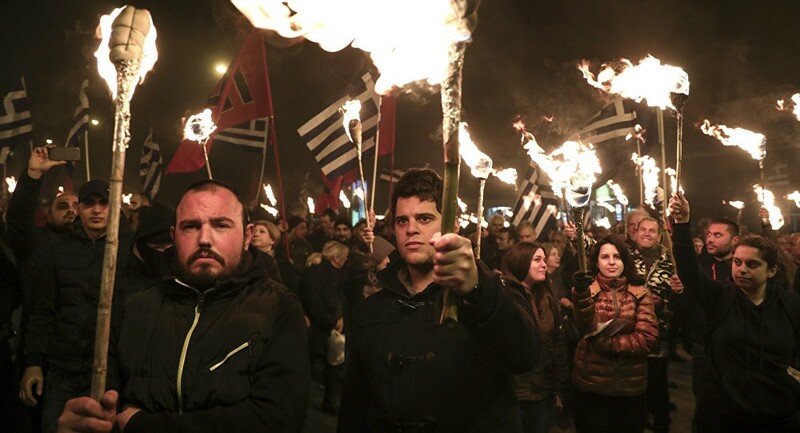 In Greece, however, the far-right has not grown in the last couple of years. Golden Dawn has never tried to disguise themselves; to put on a populist mask like other far-right parties have. So they have not been able to capitalize on racist responses to the influx of refugees. They had their biggest success when they capitalized on the traditional left’s failed response towards the Greek economic crisis and austerity. From all that we can see, and there are other factors of course, currently they receive about the same amount of support — between 6 and 9 percent — as in 2012, when they first entered parliament, and in 2015, when they had another strong showing. With Golden Dawn I think one of the biggest factors is that they have been on trial for several years since the murder of Pavlos Fyssas in September 2013. Their entire 2013 parliamentary group and their leadership — a total of 69 members — are on trial, so it is huge. It is an existential challenge for them and the trial will decide if they are a political party or a criminal organization. 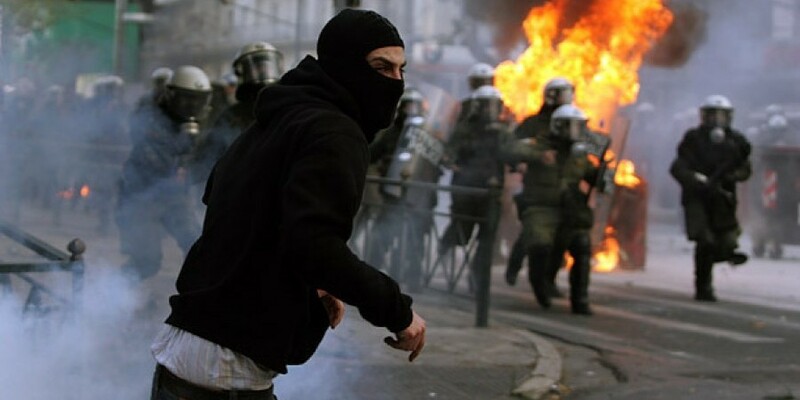 While it has not stopped Golden Dawn from continuing to carry out violence, it has, to a degree, stopped them from accumulating political support. 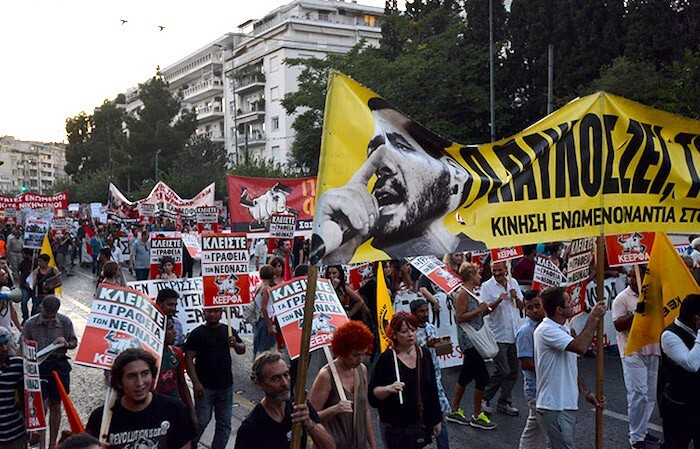 A mass antifascist march in Athens. It is hard to say where antifascism in Greece will go, just like it is hard to say what will happen with Golden Dawn and other far-right parties. I cannot say one way or the other what will happen if they are prosecuted, if that will lead to their street supporters packing up their bags or if it will lead to more violence. We also do not know if it will lead to a splintering of their supporters — as we have already seen with some of the other far-right parties in Greece. 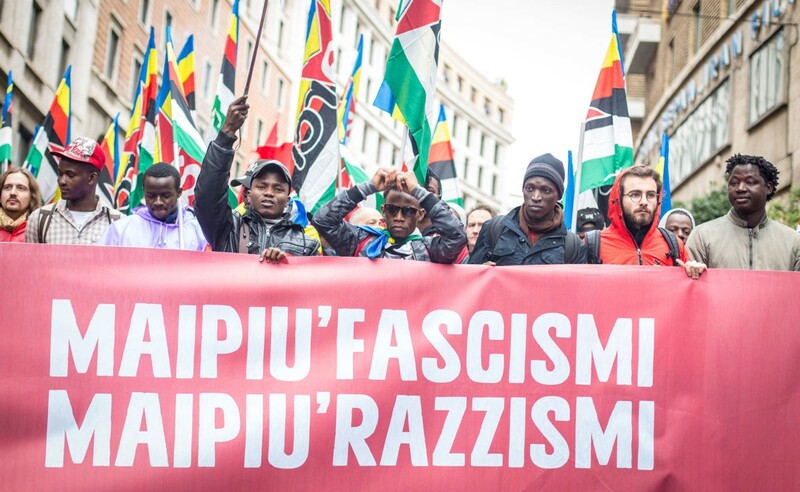 Cheap imitations of the British Combat 18, neo-Nazi groups like Crypteia, but they have not tried to build a big popular base like Golden Dawn did. 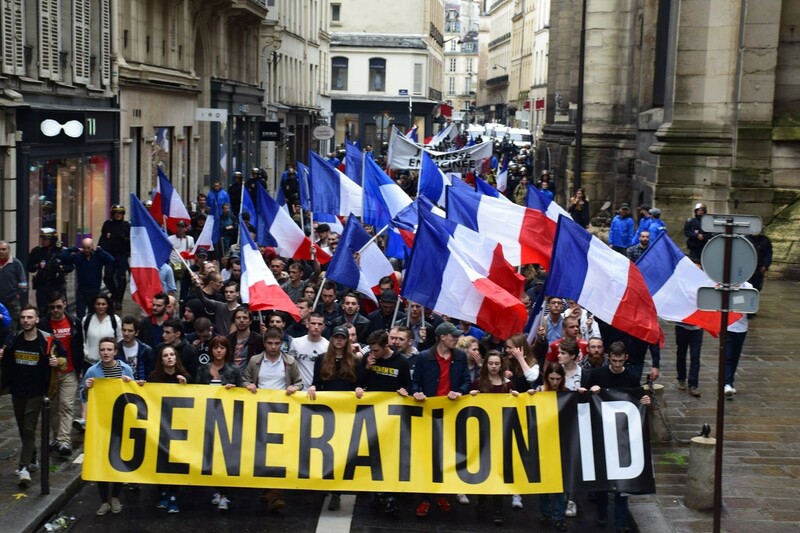 Generation Identity, leaders of the “identitarian” movement in France. There is this phenomenon of the far-right political party — slightly more moderate than outright fascists — in Europe that we do not really have in the US because the two-party system. Do you think the far-right in Europe rests on those national populist parties and their ability to pull supporters from the conservative mainstream? That is a terrain that they have correctly identified as fertile for them. If you look at Austria, the Freedom Party of Austria (FPÖ) — which is a party that was formed by former Nazi officers — is now the junior coalition partner of the conservative party. They are very openly anti-refugee, anti-Muslim and anti-migrant, but they also keep finding themselves embroiled in anti-Semitic scandals. That approach, of taking fascist politics and promote it via populist parties that can build coalitions, has been really successful. 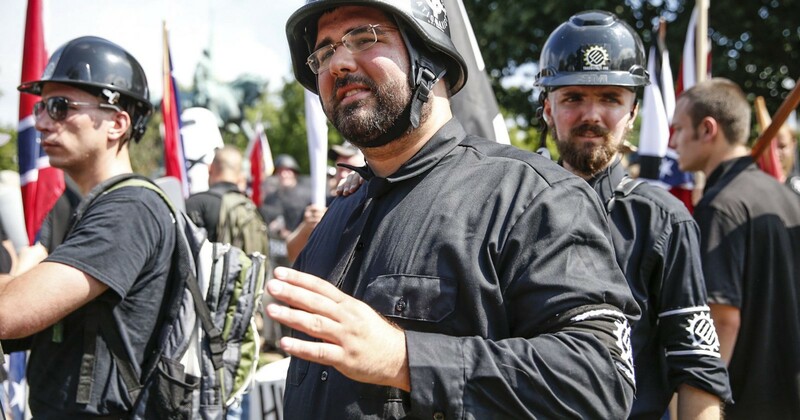 Matthew Heimbach of the Traditionalist Workers Party and the National Socialist Movement. 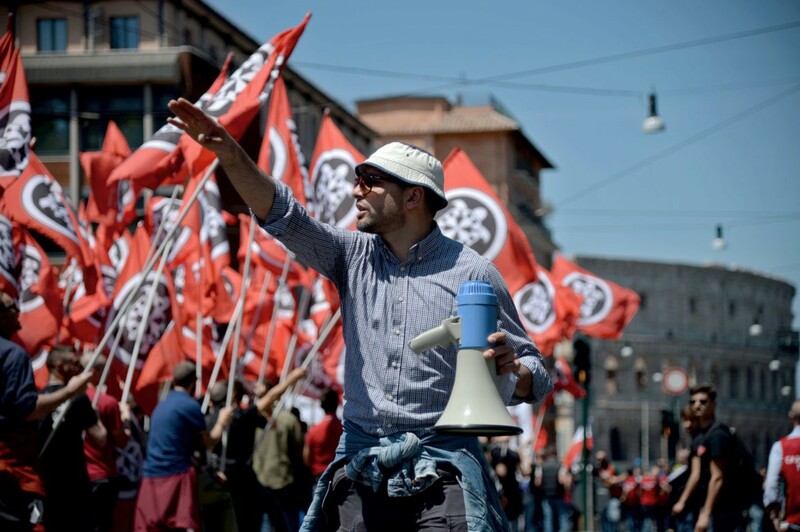 It is absolutely central, absolutely pivotal to the growth of the far-right in Europe. When I talk about the growth of anti-refugee sentiment, of course not all of the refugees coming into Europe are Muslims, but Islamophobia imbues the entire group. 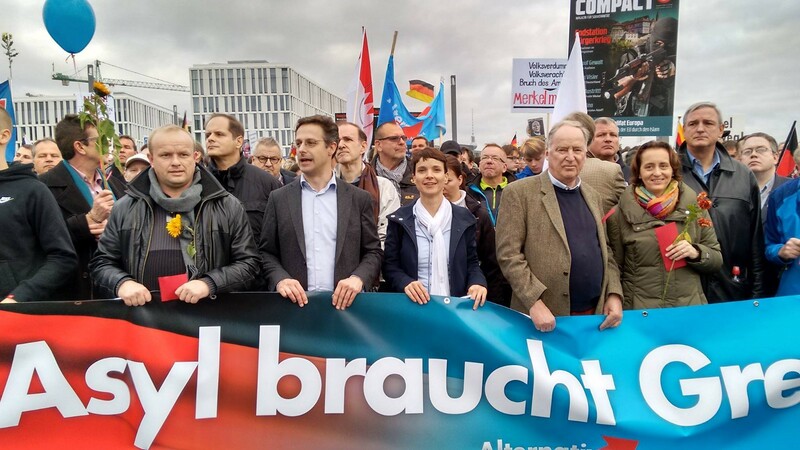 The AfD campaigns on a multitude of pretty openly racist ideas; they have talked about closing down mosques and deporting as many Muslims as possible. In Greece it is the same thing; while Golden Dawn is a much more hard-line party, they have done similar things like the campaign to block the first “official” mosque in Athens. In Austria, the FPÖ has really focused on Muslims and refugees and one of their officials even floated the idea of not just refugee camps but what he labeled as a “place to concentrate them all” in camps. 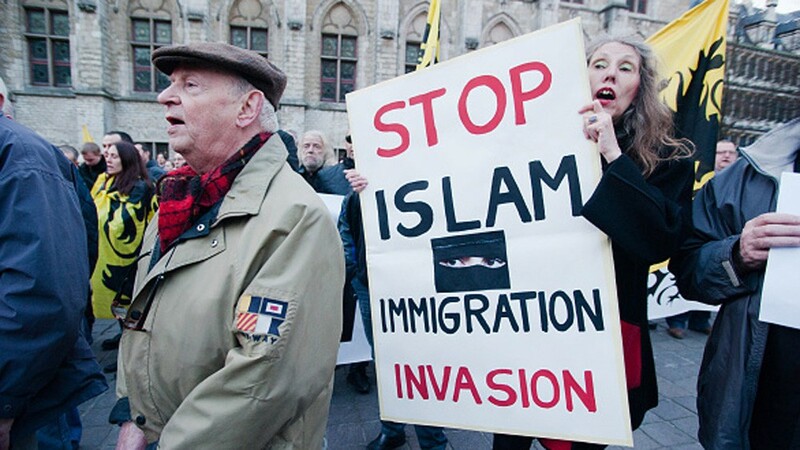 The anti-Muslim sentiment is huge. Even places like Slovakia and Croatia, where there are virtually no refugees — it does not make a difference. For them, it is the imagined threat of refugees that matters, not their actual presence. Whether or not this is simply a cheap strategic tool differs from case to case. In Hungary, it is just sheer manipulation by Viktor Orbán to place such an intense focus on the idea of Muslims “swarming the country” or something. In 2015 the number of refugees who actually stayed in Hungary was well below a thousand — compared to countries like Germany who took in around 800,000. But it was effective in drumming up fear. Originally published at roarmag.org, March 9, 2019.